What is human rights due diligence? Human rights due diligence describes an ongoing process necessary to identify, prevent, and address adverse human rights risks and impacts. In the context of development finance, both development finance institutions and their public or private clients have due diligence obligations and responsibilities. Read more: Human Rights Due Diligence for DFIs. The Human Rights Due Diligence Project (HRDD Project) of the Coalition for Human Rights in Development works to advance human rights in development by making sure that governments and development finance institutions adequately assess and address the human rights risks and opportunities associated with development activities. 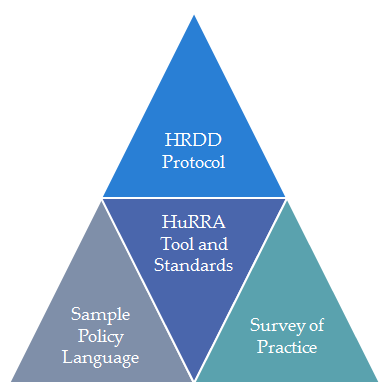 The HRDD Project develops policies, methodologies and tools for human rights due diligence in the context of development finance and engages with civil society, governments and development finance institutions to promote their incorporation within social and environmental management frameworks. Read more here. Check out our HRDD Toolkit for civil society, governments, and development practitioners, including our online Human Rights Risk Analysis Tool.